Slip and slide with the penguins during playtime – the Arctic Glow activity mat will transport your little one into a frozen winter wonderland. 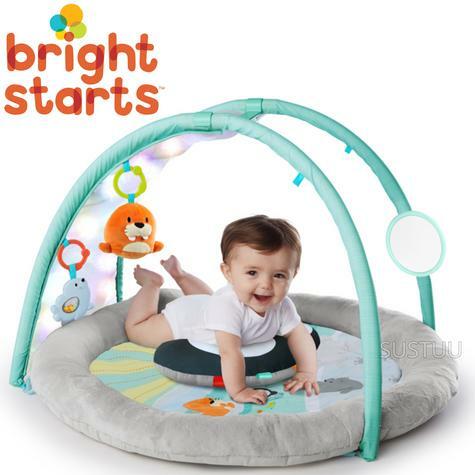 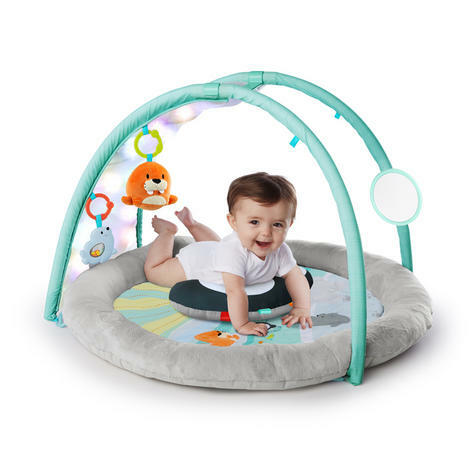 An enchanting light up canopy and a tundra of toys make this baby gym the perfect igloo for lay-and-play or tummy time fun. 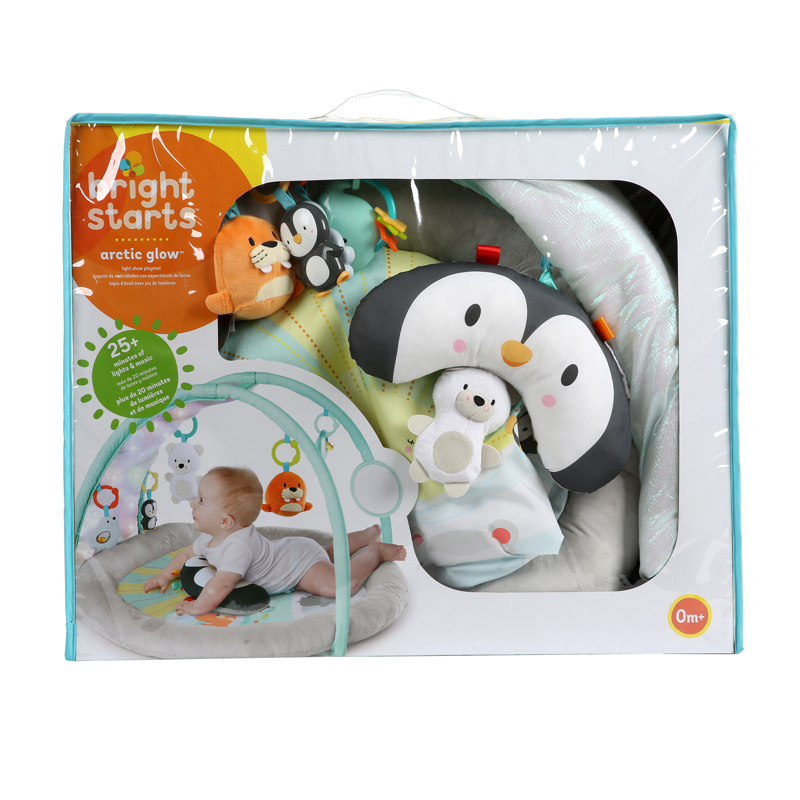 Your baby will love to squeeeeeeeze her plush pals oh so tight… with just the right hug, they’ll squeak right back. A contoured penguin pillow and extra cushy borders make this infant play gym the coziest place to be. 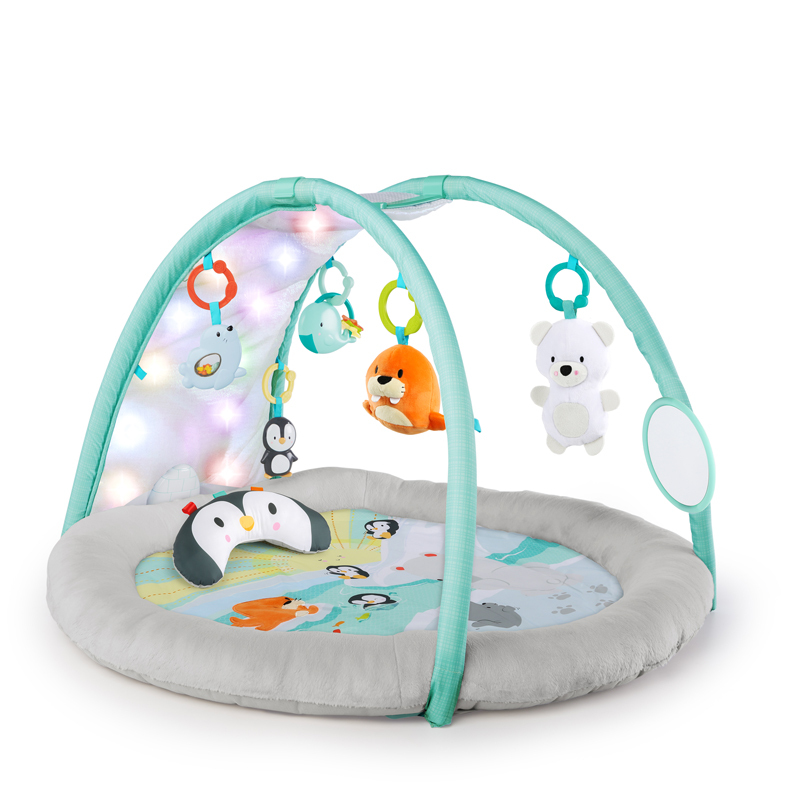 Lay alongside your little one as she stares, eyes wide, at the beautiful display of lights inspired by the aurora skies. 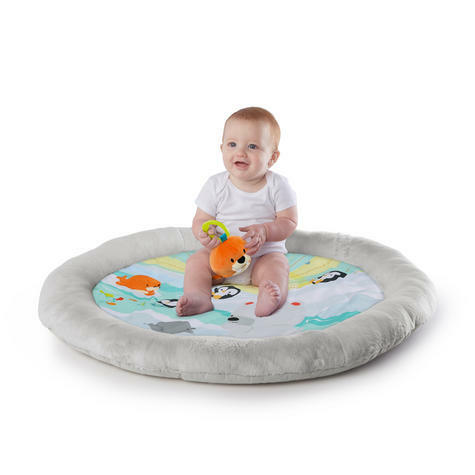 This baby mat will fill her face with wonder while melting your heart.